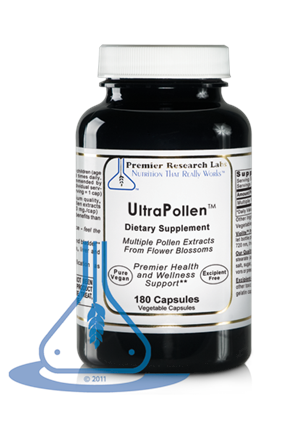 UltraPollen is made from premier quality, multiple flower pollen extracts (300 mg/cap) that are 100% allergen and pesticide free (mold spore removed). 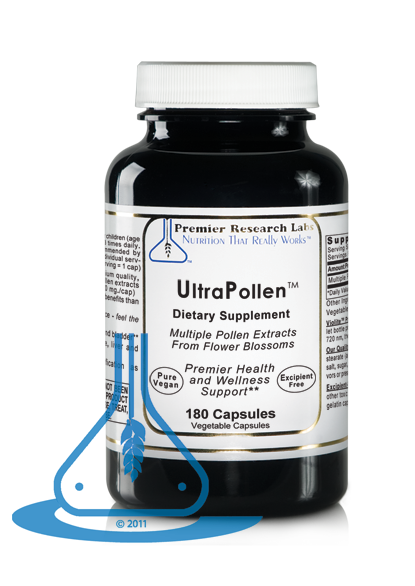 This premier formula delivers extraordinary flower pollen-based support for health and wellness. 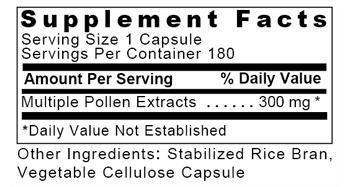 Take 1 capsule, 3 times daily. 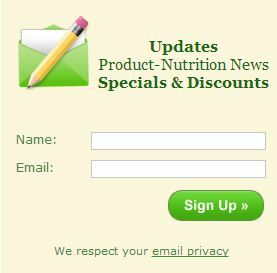 For special programs recommended by your practitioner, up to 10 individual servings may be taken daily (1 serving = 1 capsule).